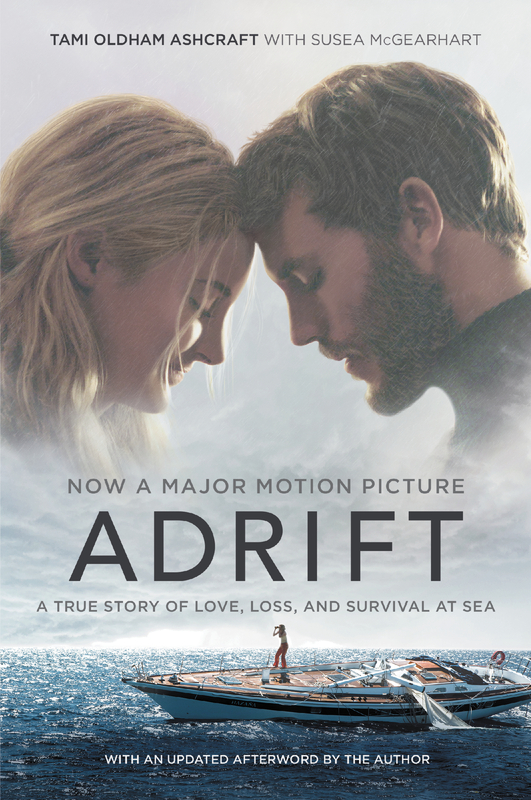 VVS Films x Mr. Will want to give Readers in Canada a chance to win a Prize Pack including a Run-of-Engagement Pass for two and also a copy of the Memoir Adrift: A True Story of Love, Loss and Survival at Sea by Tami Oldham Ashcraft with‎ Susea McGearhart. To enter to win, click “like” on this Post at MR. WILL ON FACEBOOK and indicate your City. Click “share” on this Post from there for an extra chance or Re-Tweet this Tweet from @mrwillw. VVS Films release ADRIFT Friday, June 1, 2018. Where does one start with Oliver Stone? The man has made some incredible Films and fortunately hia newest effort, Snowden it falls in this category. 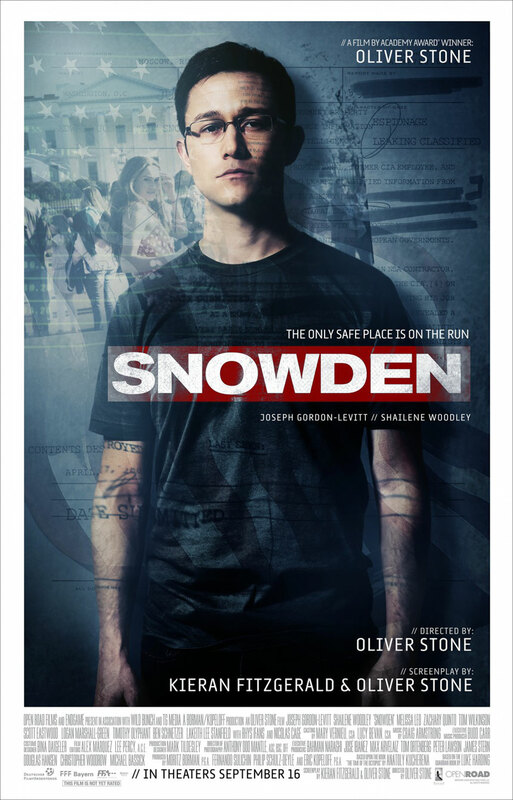 Joseph-Gordon Levitt stars as Edward Snowden the man who single-handedly took down the National Security Agency. Snowden was one of the youngest recruits to the NSA and took it upon himself to make it known through the leaking of highly-classified documents proving the government had access to our communication devices. However, how does Snowden go about his noble feat while protecting himself and the ones he loves, including Lindsay Mills (Shailene Woodley) his girlfriend? What makes Snowden so facinating is the amount of detail the Film reveals about Snowden’s journey, even if it feels disjointed at times with its non-linear approach. The Film falls flat slightly within the Third Act in what should be Snowden‘s intense escape from prosecution. However the performances from both Joseph Gordon-Levitt and Shailene Woodley are remarkable. SNOWDEN screens Friday, September 9, 2016 at 9:30 PM at Roy Thomson Hall and Saturday, September 10, 2016 at 12:00 PM at Roy Thomson Hall. It was a massively star-studded second day in Toronto and Team Mr. Will had a bit better luck after a bit of a slow start to TIFF ‘ 16! Newly-minted Academy Award winner Leonardo DiCaprio had King Street shut down as he walked the Red Carpet with grace for Global Warming Documentary BEFORE THE FLOOD, signing a whole lot of autographs for Fans who queued hours to see him in a rare visit to the City! Later on in the day, Joseph Gordon-Levitt faced the Media and Fans at the Premiere for his Award Season vehicle, SNOWDEN at Roy Thomson Hall. Meanwhile, Anne Hathaway brought a sizable crowd to Ryerson Theatre to see her latest effort, COLOSSAL at its World Premiere. While immersed in controversy of late, THE BIRTH OF NATION, starring, written and directed by Nate Parker got two Premieres tonight around town and its run at TIFF ’16 just might be the publicity it needs to get itself back on the right path. #DouglasBooth at #TIFF16 for #TheLimehouseGolem. Spotted at Byblos. Real life couple #JasonRitter + #MelanieLynskey at #TIFF16 for #CarriePilby. #SNL’s #VanessaBayer at #TIFF16 with #CarriePilby. #DavidOyelowo at #TIFF16 with #QueenofKatwe + #AUnitedKingdom. #SandraOh at #TIFF16 with #Catfight and #WindowHorses. #AnneHeche at #TIFF16 with #Catfight. #AcademyAward winner #MelissaLeo at #TIFF16 with #Snowden. Two Direction: with one of #TIFF16’s biggest breakout stars, #RuthNegga. She stars in highly-talked-about #LovingFilm. #ShaileneWoodley makes a quiet entrance in a stunning gown. She is at #TIFF16 with #Snowden. Elevation Pictures + Mr. Will want to take Readers to see Joseph Gordon-Levitt in SNOWDEN! 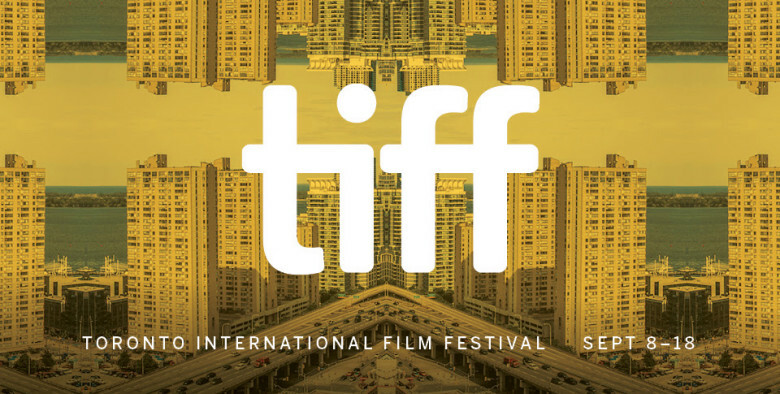 The Film is making its World Premiere at TIFF and then opening in theaters across the country on September 16th. The true story follows Edward Snowden, an American computer professional who leaked classified information from the National Security Agency (NSA) to The Guardian in June of 2013.
http://www.mrwillwong.com/snowden @MRWILLW wants us to #win Advance Passes to see #SNOWDEN Out 9.16. The Black and Blue Carpet was rolled out tonight at Toronto’s Scotiabank Theatre as Mekhi Phifer and Jai Courtney, Stars of Veronica Roth Adaptation The Divergent Series: Insurgent, flew-in for the grand occasion. Filled with Selfie-aspiring Fans and eager Television and Digital Media, the Carpet was adorned in blue lit-panels depicting the five Factions known so well by Fans of the Franchise. 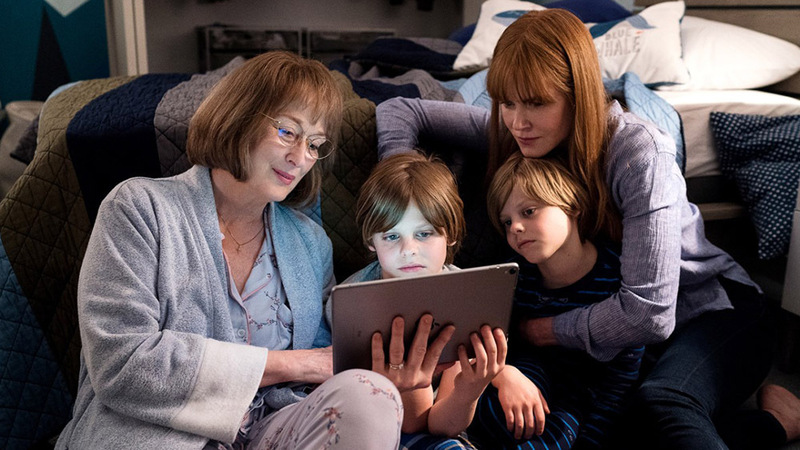 After strong Reviews and grossing over $150 million in North America, expectations are high of this second Installment. Many know Phifer for his work on long-running, celebrated TV Series ER and a string of popular Films he made in his early 20s, including O, 8 Mile and Honey. Australian-born Courtney‘s star is emerging quickly with high-profile Roles in Unbroken, A Good Day to Die Hard and recent news of his casting in DC Comics’ Suicide Squad, to film in Toronto next month with a Cast of Heavyweights. INSURGENT picks-up where Divergent left-off in a futuristic dystopian Chicago. We witness Tris (Shailene Woodley), Four (Theo James), (Miles Teller) and (Ansel Elgort) on-the-run from ruthless Erudite Faction Leader Jeanine (Kate Winslet), who is determined to capture and test the limits of potentially destructive Divergents (those not belonging to any one particular personality type) at all costs – sparing no lives, placing them through a grueling and deadly set of simulations. Jeanine is in possession of a box containing secrets which Tris‘ Parents lost their lives in the name of protecting. Tris finds herself having to face Jeanine, risking her life for the protection of her People once she is captured. What is the secret which Jeanine is so set on keeping it hidden from Tris and the Population? And how will Tris survive Jeanine‘s fatal Regime? At the heart of The Divergent Series are some strong Female Characters. Legions of young Women look-up to Tris and we ask Phifer who plays Dauntless Leader Max, about his own Female Role Models. “My Mom first of all”, he says without hesitation, “She was a single Parent who raised me in Harlem. She was a School Teacher who loved the Community – a Choreographer and Dancer. My Mom was definitely an inspiration.”. Courtney, who just turned 29 this week, thinks likewise, crediting “My mother of course, I think.”. He adds, “My Sister too. There a lot of strong Women in my life, including some friends of mine.”. Phifer recounts his transition from a young impoverished Actor, overcoming the odds to make it in Hollywood with a Career spanning 20 years. We ask what’s changed from then till now for him. He says, “I’m 40-years-old, a Dad of two and married. I mean, it’s inevitable.”. “That’s the beauty of acting – there’s no age limit. As long as you can remember lines and read, that’s all you need.”. 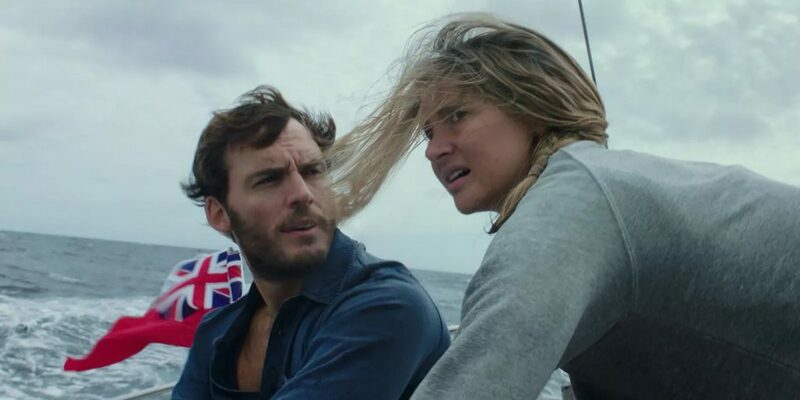 Our Justin Waldman asks Courtney about his physically-intensive role as Dauntless Leader Eric, who like Phifer‘s Max, reports to Winslet‘s Jeanine. His Character is menacing, in hot pursuit of Tris and Four, playing a Key Role in her eventual surrender to Jeanine. “I was working on Terminator Genisys at the same time as Insurgent”, he reveals. “It was a lot of Cardio and Circuit Work – boring stuff. It’s what I have to do to prepare for work. It’s like reading or researching for a role, but you have to become a bit of an Athlete.”. “It gets old.”. And for those curious, Courtney remains tight-lipped about his return soon to the City for the star-studded Suicide Squad with the likes of Will Smith, Jared Leto, Margot Robbie, Cara Delevingne and Joel Kinnaman. “What am I gonna tell you? We haven’t started yet, but we’re getting ready”, he says before hinting “I’m gonna get to use my Australian accent. I can tell you that much.”. eOne Films release THE DIVERGENT SERIES: INSURGENT on Friday, March 20, 2015. If there ever was any doubt that INSURGENT will leave Fans satisfied, let this first Teaser Trailer for the Film alleviate any concerns. See Tris (Shailene Woodley) cling for dear life as she defies gravity to get to her Mother (Ashley Judd). Tris (Shailene Woodley), Four (Theo James), Caleb (Ansel Elgort), Peter (Miles Teller), and Four‘s father Marcus (Ray Stevenson) take refuge at Amity. Tris tries to cope with her guilt at having killed Will, even though it was in self defense. The group, especially Tris and Four, find Amity‘s no weapons rule difficult to live with and they soon find themselves on the run again. eOne Films release THE DIVERGENT SERIES: INSURGENT on Friday, March 19, 2015. Shailene like we’ve never seen her before! Ever since we first saw the Trailer for WHITE BIRD IN A BLIZZARD from Director Gregg Araki, we’ve been mesmerized and now we’d like to take some Toronto Readers to see it first! Kat Connors (Shailene Woodley) is 17 years old when her perfect homemaker mother, Eve (Eva Green), a beautiful, enigmatic, and haunted woman, disappears – just as Kat is discovering and relishing her newfound sexuality. Having lived for so long in a stifled, emotionally repressed household, she barely registers her mother’s absence and certainly doesn’t blame her doormat of a father, Brock (Christopher Meloni), for the loss. In fact, it’s almost a relief. Did we just see Gabourey Sidibe in that Trailer too?!? I think we did! To enter to win, simply “like” this Post at Mr. Will on Facebook. Entries will be drawn end of day! 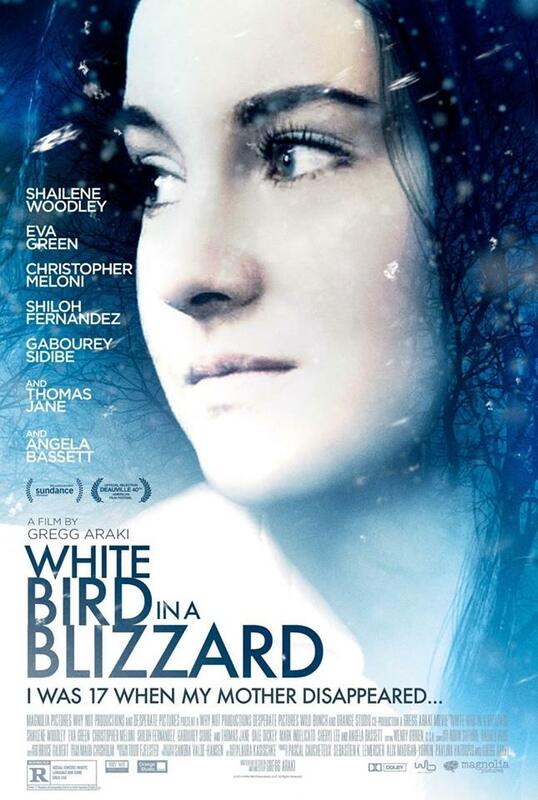 Video Services Corp. release WHITE BIRD IN A BLIZZARD in Toronto on Friday, October 24, 2014 and November 1, 2014 in Ottawa. “Like” Video Services Corp. on Facebook here.